From the Movie "Up" is our newest wet dry combo. This 5&1 combo offers a ton of activities for the kids. 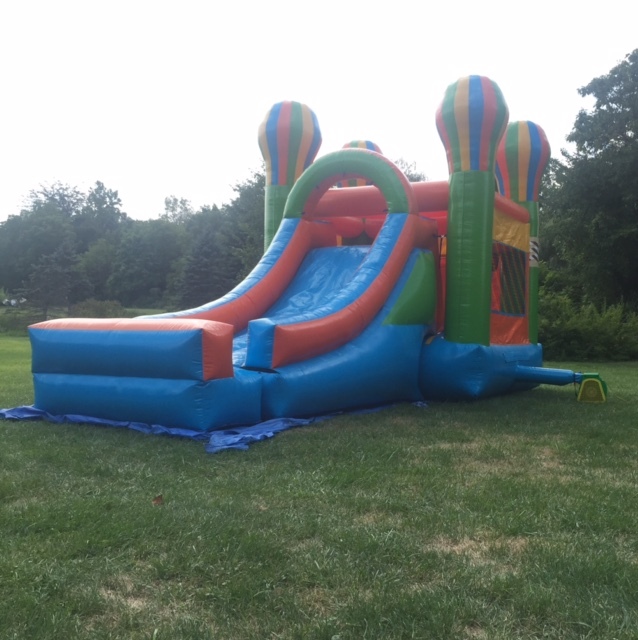 A Bounce House, basketball hoop, climbing wall, slide and pool. Can be used wet or dry and is a hit for any party.